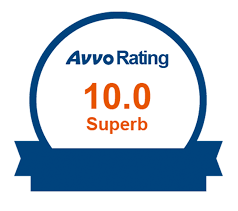 For additional client reviews, please visit our AVVO profile or Google + page or click on the banners to the right. 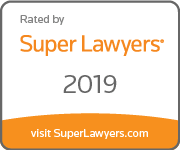 "Having worked with a few attorneys in the past (for personal and business concerns) and never having overall positive experiences, I was very cautious in choosing an attorney when I was recently presented with some tough financial decisions regarding my small business. 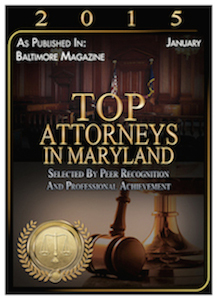 Jan came very highly recommended in the areas of commercial litigation and bankruptcy law. He was actually recommended to me by a friend of my mother's who used his counsel for a business dispute. After reading the stellar reviews written on several sites concerning his aptitude and reputation, I decided to seek his counsel. I found him to be responsive (returning my call within an hour of my initial inquiry and he was always available even on weekends to answer my questions), knowledgeable, detail oriented, and above all he was trustworthy and possesses high moral character. He very well could have given me advice that would have ended up costing me more in fees and put more money in his pockets. Instead, he handled my matter with efficiency, diligence, and provided me with a favorable outcome in a timely manner. I will definitely seek his services in the future if need be. Thank you so much." "This is not the first time I have hired Jan. He is very, very, very responsive. When you're in a legal jam, the last thing anyone wants is to wonder if your attorney is doing the job you hired them to do. Jan is by far the best at keeping me informed, and properly informed, there are no empty promises or false hopes. There is a large value in being able to trust people these days." "I did a telephone interview with Jan and was very impressed with his professionalism and warm personality, however, he assured me that he was organized and client focused on what we (wife) wanted to accomplish. We hired Jan based on what I learned in the interview about how he would handle the case but, I also felt that we could develop a team relationship with him. Once we started informing Jan about our dilemma with our friend (debtor) and he began giving us options on what could be done, I knew that we had selected the right person to help us. Jan made it very easy for us to cope with the dilemma we were in. He became very confident that we could win a judgement against the debtor and always kept us current by explaining what he was doing and why. He worked through each obstacle with precision and always with the utmost professionalism to us and debtor. We were blessed the day I called him and retained him to handle our case." We are a debt relief agency. One of the services we provide is helping people file for bankruptcy relief under the Bankruptcy Code. © 2019, Jan Berlage. Content and planning by the Jan Berlage legal team. Vision made a reality by White Marsh Web Design.